A Marvel movie producer wants to revive the Pac-Man TV series in 3D, and he wants it to have more depth than just fighting ghosts: It could tackle social issues like racism, too. This gets filed under "wait, what? ": At an E3 2010 gathering celebrating Pac-Man's 30th birthday, Marvel producer Avi Arad dropped a bomb - he wanted to bring the iconic yellow puck back into the limelight with a TV show. The show would be created with CGI animation, and also filmed in stereoscopic 3D for those with fancy-pants new 3D-capable televisions. But that's not the weird part, oh no. I mean, Pac-Man isn't as famous these days as he once was, but he's still an instantly recognizable icon. Bringing him back for a TV show isn't a horrible idea; it'd certainly spark nostalgia in children of the 80s. The weird part is just how much depth Mr. Arad imagines in the little yellow puck's world. "We wanted to keep Pac-Man the same lovable guy he has always been, but [put him[ in the 21st century," Arad told Variety. "We [also] wanted to talk about real stories and ... see how they can relate to our lives, being in high school and being a teenager. At the end of the day, it's the story of a reluctant hero." Here I thought it was the story of a guy who was gobbling down pellets and fighting ghosts. Wow, I must have missed a ton. But that's not all, because Mr. Arad also sees in Pac-Man the option to use fantasy elements to explore real social issues. "We feel we have a unique opportunity to have an action adventure, human interest story ... [as] a filmmaker, it's a unique opportunity to get to know the characters you play. 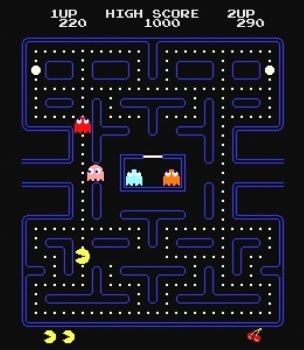 We don't know what happened to Pac-Man's parents. He's the only yellow one in Pac-Land; what does that mean? Is it a social statement? We'll find out." Will Ms. Pac-Man just be Pac-Man putting on a bow and lipstick as he explores his own gender identity? I guess we'll find that out, too.